If you are interested in commissioning me for a mural please visit my contact page and let me know what you had in mind! Commissioned tie dye mural for the front area of a shoe store off Haight St. in San Francisco. I painted an octopus alongside 99 other artists to complete a huge collaborative wall in Downtown San Jose. Temporary mural at the Downtown SJ Marriott while the construct a new lobby. A mural I did for a video project in the back receiving room of an Artist Community called Local Color. 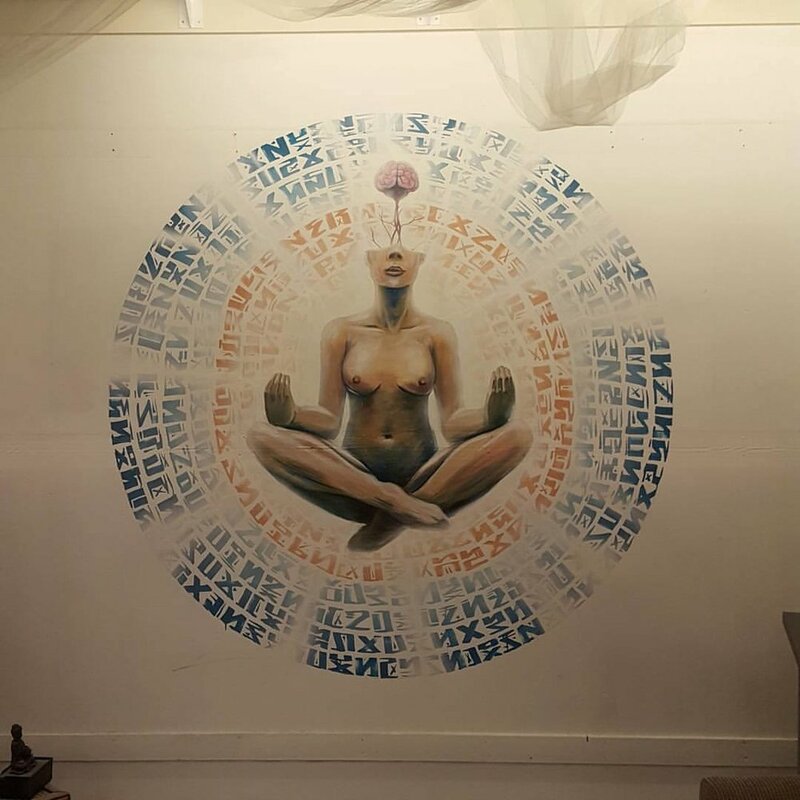 A collaboration mural with Francisco Ramirez at the Zen Den Studio of Be The Change Yoga. Not quite a mural but a larger scale piece for a wall installation.